This Mercedes-Benz includes: HIGH PERFORMANCE SUMMER TIRES Tires - Front All-Season Tires - Rear All-Season HEATED & ACTIVE VENTILATED FRONT SEATS Cooled Front Seat(s) Heated Front Seat(s) PRE-WIRING FOR RR SEAT ENT PREMIUM PACKAGE Keyless Start HD Radio Heated Front Seat(s) Satellite Radio Power Door Locks Keyless Entry REAR DECK SPOILER (PIO) Rear Spoiler BEIGE HEADLINER SOFT-CLOSE DOORS ENERGIZING COMFORT PACKAGE EXTERIOR LIGHTING PACKAGE AMG LINE Floor Mats ACTIVE MULTICONTOUR FRONT SEATS W/MASSAGE FEATURE Seat-Massage Split Bench Seat Power Passenger Seat Power Driver Seat Fixed Bench Seat Bucket Seats DRIVER ASSISTANCE PACKAGE Lane Departure Warning Lane Keeping Assist Brake Assist Adaptive Cruise Control PARKING ASSIST PACKAGE Automatic Parking Back-Up Camera ILLUMINATED DOOR SILLS W/MERCEDES-BENZ LETTERING WARMTH & COMFORT PACKAGE Split Bench Seat Heated Steering Wheel Heated Front Seat(s) Fixed Bench Seat Bucket Seats BURMESTER SURROUND SOUND SYSTEM Premium Sound System *Note - For third party subscriptions or services, please contact the dealer for more information. * Pull up in the vehicle and the valet will want to parked on the front row. This Mercedes-Benz CLS is the vehicle others dream to own. Don't miss your chance to make it your new ride. 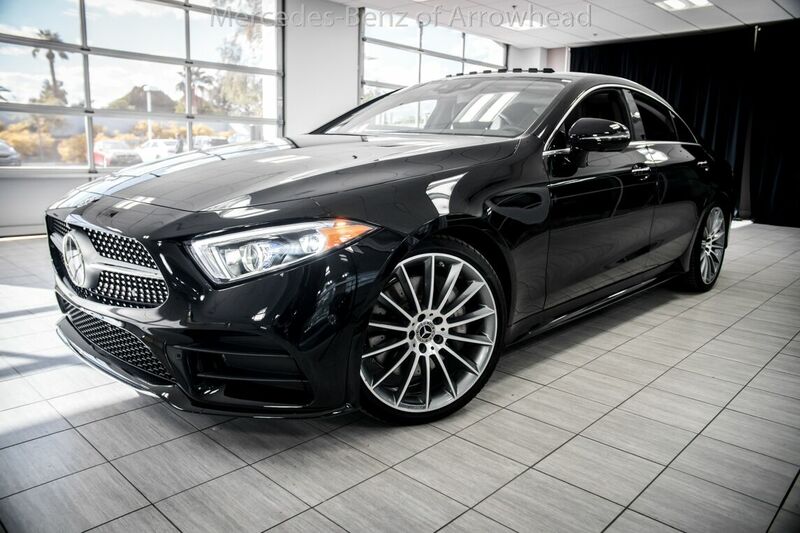 Based on the superb condition of this vehicle, along with the options and color, this Mercedes-Benz CLS CLS 450 is sure to sell fast. You can finally stop searching... You've found the one you've been looking for. Visit your Mercedes dealer today serving Phoenix, North Scottsdale, Tempe, Gilbert, Mesa, Chandler, Scottsdale AZ.